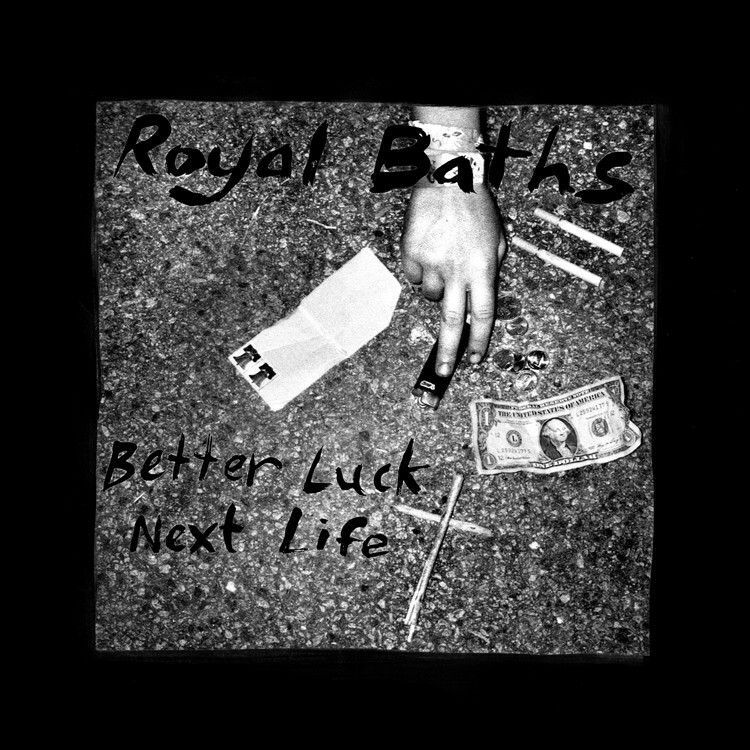 On February 7th, Kanine Records blessed the release of Royal Baths' Better Luck Next Life. 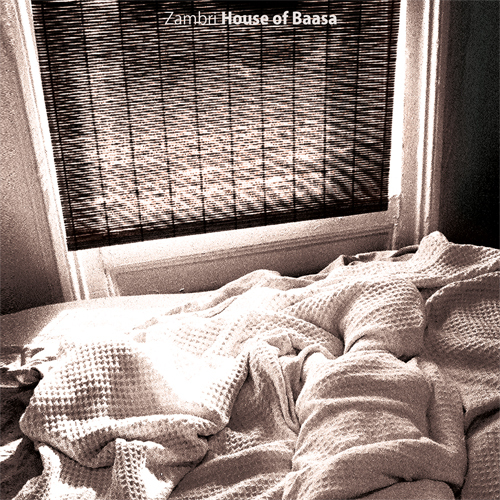 Royal Baths is a psychedelic rock formation of Jeremy Cox and Jigmae Baer. They began this band in San Francisco but their musical journey led them to Brooklyn. In New York, Royal Baths like to support all the DIY venues and Death By Audio was where they chose to have their record release party. That same night, Jeremy Cox sat on the curb with me to discuss the album, his girlfriend, touring, and that one thought of being a lawyer. Rather than a typical droned out interview, it was a friendly conversation with interruptions from passersby and one inspection from the Williamsburg police. Luckily for us,the flask of whisky in Jeremy's coat went unnoticed . Feel free to get acquainted with Royal Baths below. EARMILK: Today is your album release, how are your feelings toward this? Jeremy Cox: Feelings! Ah, very busy feelings. I don't know, should I elaborate? JC: Well, just getting ready for the four month tour. We're doing two US tours, one including SXSW and the next one is Australia and all of Europe after that. EM: There are a lot of album reviews out right now. Which is your favorite? JC: There are! Who just did one? I can look it up. That thing records for like 20 minutes just so you know. (Searches through his emails) This is my first winter here. EM: It hasn't been cold. Maybe you brought the California weather with you. JC: Yeah, I guess so. (Still searching) Oh! It was the CMJ review from a couple of days ago. They compared us to Jacqueline Hyde. I liked that one. That was a very nice review and I felt like they understood us. My favorite review so far. EM: How would you review this album? JC: Gee, I don't know. In the context of what we've done so far, we tracked everything live this time. We didn't do that in our last album. That's kind of a hard question. It's always hard trying to define yourself as a band. EM: Thats understandable. Can you take us to the creative process of how the album came together? JC: Jigmae and I wrote the songs and introduced them to the band, to that lineup at the time. Some songs were written on the road. Some were more composed but it usually entailed Jigmae and I writing in one of our rooms, like we usually do. Jigmae writes all the lyrics and I'll come up with some chords. Then, it kind of expands more when we play live. That was the writing process. We had limited time in the studio so we recorded most of the instruments live and a few guitar overdubs. Most of that was just spontaneous. Someone would suggest a certain sound and that's what we'd record. That's how that turned out. EM: I feel like the album is a little dark. Where is that inspiration from? JC: I mean, hm, I guess I don't view it as directly dark. I'd say it's satirical. Jigmae likes to portray certain characters in his lyrics. I think anyone who makes music will reflect their surroundings so it's simply a reflection of our surroundings at the time. EM: This was in California? JC: Yes, all of it was done in California. EM: Tell us about your lives in Brooklyn now? JC: It's been wonderful. We've been here for 4 to 5 months and met a lot of people we really liked. We're very happy with the DIY scene here. That's kind of stifled in San Francisco. It doesn't really exist much because there's no warehouses. All the warehouses seem to be getting shut down, whereas in Brooklyn, if a warehouse is getting shut down, it will pop up again somewhere else. It's nice to know it'll always be around. EM: Do you have a favorite venue in New York? JC: I would have to say Death By Audio. It's why we chose to have our record release here. This was also our first show in Brooklyn as a band with Ty Segall. I think that was the night when I decided I wanted to move to Brooklyn. It was very exciting. I believe it was in August, feeling seasons was very exciting for me. EM: I bet. Are you excited for touring? JC: Yeah, I think it's nervous excitement. You never really know what's going to happen. We've only been on US tours and no longer than 3-4 weeks. This will be two US tours back to back and the Australian tour and Europe tour, which adds up to around 4 months. I have no idea what's going to happen and I don't think anyone does. EM: Where are you looking forward to the most? JC: Out of everywhere? I'd have to say Italy. We'll hit Italy on the 13th of April. We're going to be in Italy for a week or longer, so we'll get to see all the little towns and everything. I'm very excited about that. EM: What is your nationality? JC: Mm, American? I think I'm French and German something. Maybe 5% Italian. JC: Caucasian breed. Mix. I'm just a mutt. EM: On your album cover, there are several items. Are those your daily necessities? JC: That picture was taken on tour, it might have been Atlanta, Georgia. We chose that because we thought it was very telling of the impoverished experience we had on tour, kind of how bleak it was. We wrote half of the songs on the record on tour and we felt it was appropriate. EM: Where did the stamps come from? JC: The stamps were mine. I always bring stamps on tour but I never end up writing letters. EM: Who do you write letters to? JC: Nobody! Haha. Probably to my girlfriend, Leslie, at this point. She lives here but she is on tour right now. EM: What band is she in? JC: Friends. She's actually in our video that just came out, "Faster, Harder". Music video for "Faster, Harder"
JC: I think so too. I'd have to agree with you on that one. EM: The video for "Faster, Harder" has a disturbing relationship. Was that from a personal experience? JC: Is it related to our personal experience? No, I don't think. Jigmae and Fatos were filming and directing it. The story behind that video is how the female figure is more domineering and the male figure is submissive.It's the story we chose to portray but I'm not sure if it came through. I wouldn't say that portrays my relationship with Leslie. EM: How did you meet Leslie? JC: I met Leslie the first week I moved here. It was kind of serendipitous. Friends were filming a video at The Market Hotel and I was living there at the time. I've seen her a few times but that's when we officially met. EM: That's sweet. You met her at a shooting and now she is in your video. Interview was paused for 3 minutes. This was when a police officer pulled up with a flashlight and a few questions. EM: What would you say is a good representation or influences of your music? JC: Jigmae is a writer and his lyrics are based from authors he likes to read. I can't name them. We usually begin with something like Delta Blues and go from there. Obviously, we have a lot of 60s influence in our music. When we bring it to electric, it has that sound and we try to keep the drums, not so standard rock beat, if that makes any sense. Basically, whatever excites us, we like to create. We try to not concern ourselves with what people suggest we sound like. EM: What excites you guys? JC: Personally, I've been listening to Edith Piaf and Caetono Veloso. I don't think our music reflects that at all. This record that's being released tonight was recorded a year ago. I think our influences have fluctuated since then. EM: The song "Faster, Harder", I felt the anxiety towards the end. Is the fast pace something we should expect in the future? JC: I don't think so. It's not in our nature to write things that are fast pace. When we began this project, we wanted to start something that involved playing a little slower. We like to have the time to build tension. I see a lot of music that's just this huge spike of loud, fast music and it's not very intriguing to me. I don't want to create that so for me, that's where I come from. EM: Besides music, what would you be doing right now? JC: I'd probably be a lawyer. No, I didn't go to college. I don't know what I would be doing if I didn't play music. I think I realized that from when I was very young and I think everyone around me had realized that too. They've been supportive of this decision. If I didn't want to do this, I wouldn't be doing it.